If you’re purchasing a new or used vehicle using financing, you already know that you’ll have to pay back that loan over the course of several months or years. Just how much will you owe each month, and what, other than the cost of the vehicle, does that payment include? When purchasing a car, it is nice to be able to know how to calculate your car loan payment. The math involved can be very overwhelming if you do not use math often. Knowing the right information to make the calculation and finding a good car loan calculator can save you a lot of time. Knowing your car loan payment amount lets you budget accordingly and figure out if the total price of the car, and not just the sticker price, is within your budget. Factors you need to know about the car and the loan terms. Overall Car Costs: A lot of different things are included in your car payment costs. First, figure out the value of the car and registration: this list will consist of the sticker price of the car along with the loss of taxes, titling fees, warranties, and prior car rollover amounts. From this cost, you can subtract any rebates, your down payment, and the trade-in value of your previous vehicle, if applicable. Loan Terms: To determine the car payment amount, you will need to know the interest rate for which you qualify and the length of the loan. The period of vehicle loans is generally stated in months. Standard car loans are commonly 36, 48, 60, or sometimes even 72 months long. If you are dying for a math lesson, oakroadsystems.com gives you the math formula and walks you through the loan payment calculation. The equation uses basic algebra and is not rocket science. It is fairly far beyond basic multiplication and division. It can be satisfying to figure your loan payments out yourself mathematically, but for convenience and speed, it is not recommended. It’s also difficult to tinker with the different variables when you’re doing these calculations on your own, so you probably won’t be able to fully understand where each cost is coming from. Skip the hassle of math formulas and get to your payment amount faster by using a good car loan payment calculator. Save lots of time by plugging in your necessary information listed above. A calculator makes it easy to input different combinations of numbers. It allows you to do a side by side comparisons of varying loan interest rates and car costs. Some loan calculators allow you to check how increasing your monthly payment affects how fast you can pay your loan off. It is these variables that can be very interesting and help you reduce your debt. Technically you can use car loan payment calculators on any of your loans. As long as you know your loan factors the calculator will work. Once you know what your car loan payment will be, use the information wisely. Check around for a lower interest rate or try to do what you can to reduce the length of your loan. It is never a good idea to obtain a car loan based on the monthly payment alone. Lenders or car salesmen can extend your loan to reduce your payment, but you pay a lot more overall. A lot of times extending a loan can cause you to owe more than the vehicle is worth. If this is your only option, be sure to check into gap insurance. It is a common mistake for people to forget about the cost of car insurance when purchasing a vehicle. It is essential to know the cost and work it into your monthly budget. Whether you are replacing an old vehicle or buying an additional car, it is worth your time to get an insurance quote. 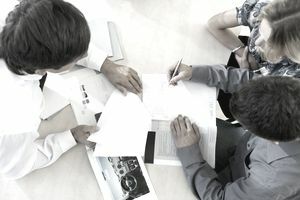 Knowing the price before signing the papers can give you the information you need to know to ensure you are getting the right vehicle for you and your family. Making educated decisions about your finances will keep your finances in good health. Having a good idea what a new car is going to set you back monthly can prevent surprises at the time you sign the official documents. Review your budget and feel good knowing you are making an educated purchase.